President Barack Obama claimed the top spot for most retweeted post on Twitter, knocking pop star Justin Bieber off his throne. 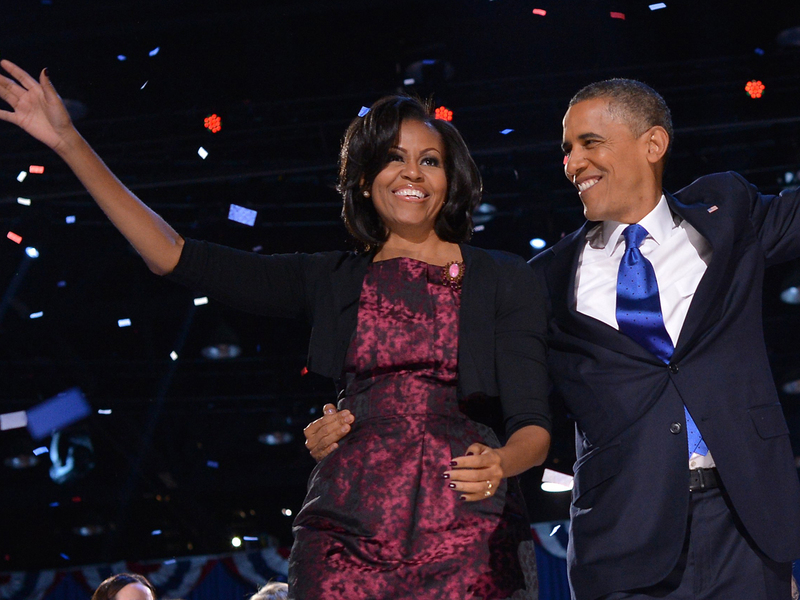 Following the news that Obama was projected to win reelection, the Obama campaign tweeted a photo of the Obamas embracing with the caption, "Four more years." According to website BuzzFeed, the update skyrocketed to No. 1 in about 22 minutes, with 226,249 retweets. The Twitter status has now been retweeted 645,838 times. Media Bistro reports, Bieber previously held the record, with 223,401 retweets. The Obama campaign shared the same photo on Facebook, garnering 3,317,896 likes and 418,379 shares. Obama sent his Twitter followers a personal message, as well, thanking supporters. "We're all in this together. That's how we campaigned, and that's who we are. Thank you. -bo," tweeted Obama. The campaign usually manages the Twitter account, but Obama occasionally writes his own updates, which are noted by his initials. Twitter scored a big win Tuesday night, as well. The micro-blogging service says users posted 327,452 tweets per minute when the networks started to call Obama's reelection, making it the biggest moment of the 2012 election cycle.